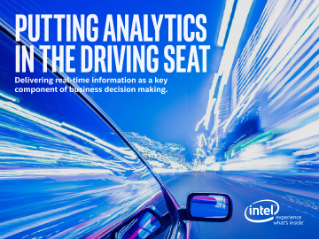 Putting Data Analytics in the Driving Seat - Delivering real-time information as a key component of business decision making. Organizations recognize the critical role advanced analytics play, enabling faster, deeper data insights, driving business value and creating competitive advantage. This paper outlines key steps to help transition enterprises to data-driven organizations with ...advanced analytics. Intel® Vision Accelerator Design products are taking smart cities' data and transforming it into safer congested streets.